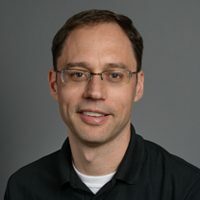 Dr. Middelkoop is the Director of Research Computing Support Services in the Division of Technology and an Assistant Teaching Professor in the department of Industrial and Manufacturing Systems Engineering. His research interests include cyberinfrastructure, large-scale (HPC) and multi-core scientific computing, computational optimization, clean energy optimization and control, energy management, integrated design systems, distributed sensor networks, and multi-agent systems. He has industry experience in designing web-based applications and embedded systems. One of Tim’s favorite activities outside of work is mountain biking. As a Systems Administrator, Quinn has helped to deploy many of the applications and processes used by his team that makes administration and user support a better experience for all involved. He continues to refine and improve the automation of day-to-day operations. Quinn is a Missouri native and has been with the Division of IT since 2010. He has been passionate about technology ever since the first time he “crashed” a computer as a young boy. For those keeping score at home, it was a Tandy 1000. 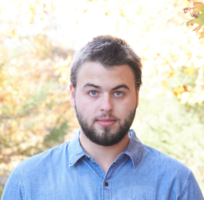 As a Cyberinfrastructure Engineer, Jacob helps identify, prioritize, and optimize the computational resources at MU to assist a wide variety of researchers in achieving their computational goals. An important part of his job is implementing Advanced Cyberinfrastructure Research and Educational Facilitation (ACI-REF) best practices. He will be traveling to conferences and training to help bring awareness and understanding of internal and external ACI resources to potential users of those resources. 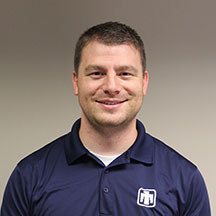 Prior to coming to MU, Jacob was a Senior HPC Applications Analyst at Sandia National Laboratories in Albuquerque, New Mexico. Jacob’s wife teaches at the University of Missouri School of Law. The couple has four daughters who enjoy the Twin Lakes Recreation Area. As a Systems Administrator, Derek Howard is working on keeping our systems healthy and happy, in addition enabling new Interactive Computing technologies. He specializes in Python software development, and he is building tools to better understand our users’ needs. Derek’s hobbies include photography, playing video games, and contributing to open source software.